OKC.NET | Kick Start This: Viva La Pies! Kick Start This: Viva La Pies! 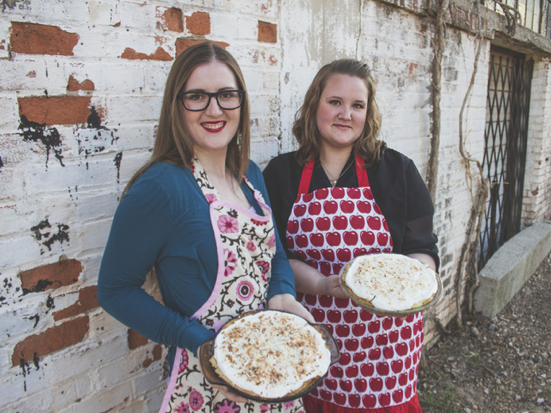 Deanna Layman and Charissa Morrison are the gals behind a new Kickstarter campaign to bring a unique, first of its kind pie and coffee shop to Edmond, Oklahoma. For those of us who care about coffee, they’re planning to use Mariposa’s beans, a coffee roaster based out of Norman, Oklahoma. So it’s like local deluxe, this future pie shop. For those who are curious and support la revolución de “pie” shops, here’s our Q/A with one of the gals responsible, Deanna Layman. OKC.NET: How did you both come to love pie so much that you decided just do it and become pie makers full-time? Deanna: For myself I have always loved to bake and have talked for eight years about owning my own pie and coffee shop. There is something nostalgic about pie that has always drawn me to it. For Charissa, she has always grown up in the kitchen baking and learned many recipes from her grandma. She grew to love baking and together we knew this was the perfect fit and what we should pursue. OKC.NET: And your history together is that you’ve been friends from diapers to adulthood, maybe you met in culinary school, or ??? Deanna: We met through church and are now neighbors. OKC.NET: I get the feeling from watching your Kickstarter, that you’re into bringing back old-school, from scratch pies. Some a bit boutique, others a bit rustic. From where does the inspiration to make a specific pie come from – the ingredients, the process of it (from the feel of slicing through butter or perfectly cracking an egg to the fun had in using a new type of vanilla or some other aromatic infusion) – what seals the deal on the kinds of recipes you plan to use in your shop? 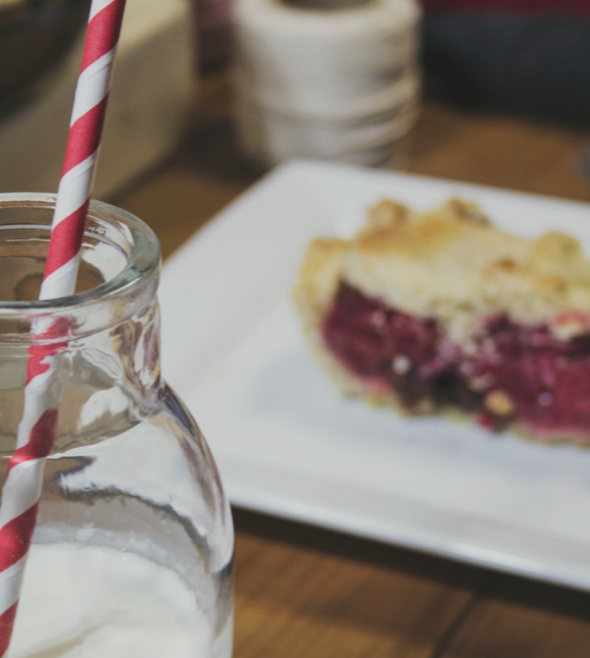 Deanna: Small town pie and coffee shops have been my inspiration. 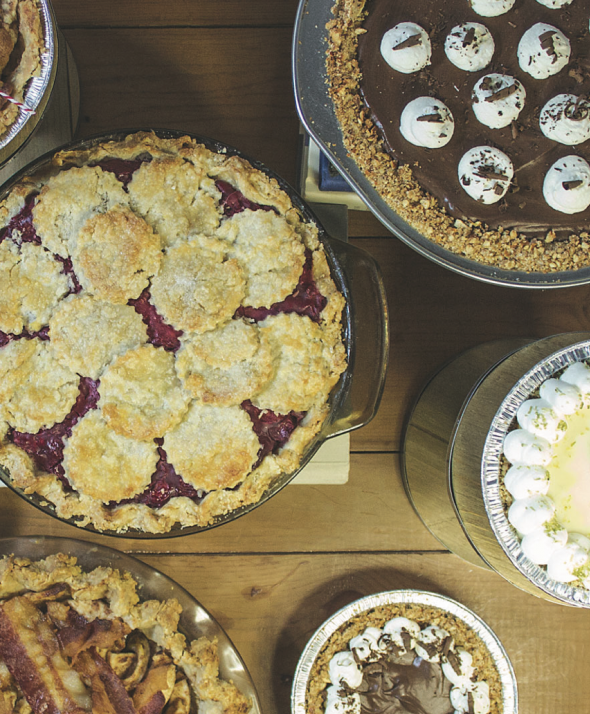 Every time we visit family in a small Texas town, we always find ourselves in the local pie and coffee shop dreaming of our flavors, our shop, and what it will be like. 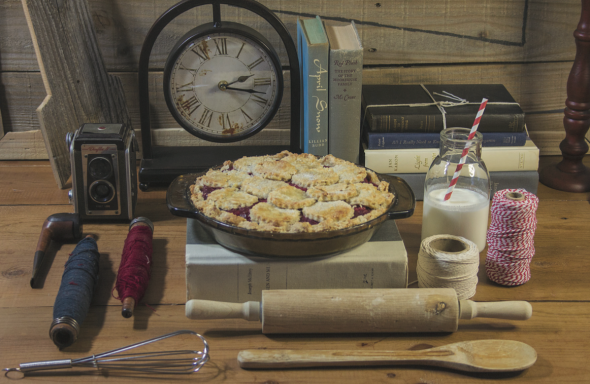 Charissa and I first began experimenting with pies that we already loved and making them into our own unique recipe. We also have family recipes passed down that we are using as well. OKC.NET: If I can have like one more “Splendid Table” moment, I have to ask, what are your favorite local or global foodie magazines or websites? Well, if you’re hungry for pie now, you should check out their Kickstarter and seriously consider contributing a $1 or a few. Tagged Charissa Morrison, Deanna Layman, EDMOND, LA, Local, Pies, SHOP, VIVA. Bookmark the permalink. I don’t understand this. If you don’t receive the 15K, what happens? Do you give the funds collected to charity? What charity? Will donors be notified? If 15K is donated but you are unsuccessful in starting the busineas, qhat happens with the funds? If they don’t raise the money, they get nothing. That’s how Kickstarter works: all or nothing. Only if the Kickstarter meets its goal by deadline will backers be charged the pledge they promised by whatever payment method they selected.